The Center Line CM6 635MA machined anthracite wheel is available in 17x8 and 17x9 sizes. The CM6 is available for classic muscle cars. Staggered fitments available for select applications. Free shipping on on all Center Line Classic Muscle series wheels. 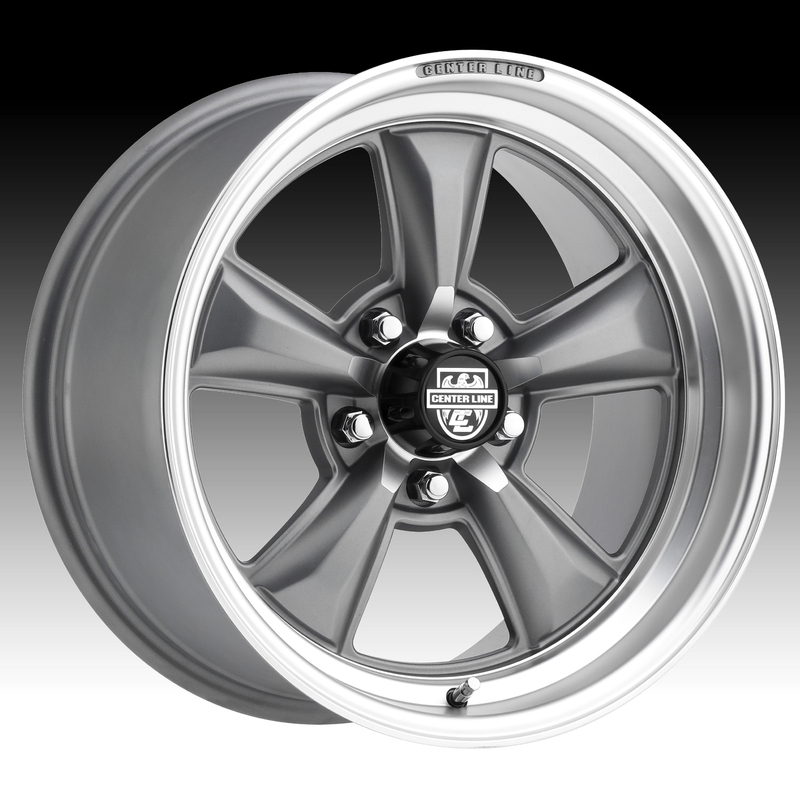 Free chrome lug kit with the purchase of a set of 4 Center Line CM6 635MA wheels. Built by the pioneers of the wheel industry, the Center Line brand is defined by its foundation of superior quality, excellence of engineering and innovation. Over 30 years ago Ray Lipper, SEMA hall of fame member, motorsports driver and enthusiast began this legacy that has never lost its focus of building the finest, most technically advanced wheels available. Continuing on in the brand’s commitment to excellence in engineering, a one piece cast wheel is now being launched for Modern Muscle, Racing Truck, Street Truck, and Lifted Truck applications. This new generation of wheels brings a fresh perspective in design innovation while encompassing the original classic elements that gave Center Line its name. The heritage advances in this reinvention, now as Center Line Alloy Wheels.